Church Transformation takes more than just vision, guts, strategy, and determination. 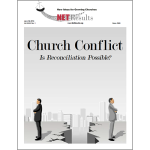 In this issue uncover some of the keys you need to turn your church around. 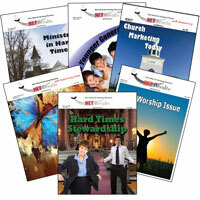 Check out the issues that have already helped thousands of churches. Want to Be a Writer Net Results? First time and veteran writers are always welcome. Here are the details if you have a story to share. Have a question? Feedback? Need help? Let us know! Net Results is North America’s most enduring and most trusted evangelism and church growth magazine. 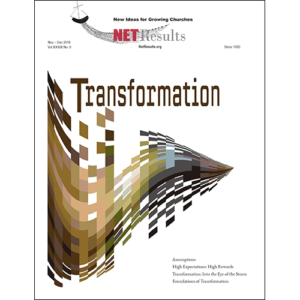 Since its infancy in 1980, Net Results has been scouring the nation to bring readers the most cutting edge church growth practices in use today. Written by pastors and church leaders in the trenches, our readers get the goods from church practitioners, not church theoreticians or academics. Because church leaders are struggling to build faithful, effective, and sustainable churches, we’re committed to providing high value tools and resources to help. © 2018, Net Results, Inc.